E-WEX Paris, is the leading shown in Europe bringing together in 2010 all of the equipment, component, products and services solutions for all the stages of industrial manufacture from design to production. 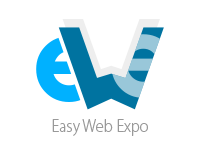 WHY EXHIBIT ON E-WEX Paris ? WHO EXHIBITS? WHO VISITS ? E-WEX's strength resides in a complete and extensive classification covering all stages from design to industrial production. CAD software, simulation calculation software, CAM software, technical data management software, integrated management software (CAPM-ERP), PLM etc..
Mountings, mechanical assembly, soldering, robots, automated lines, handling, automation components etc. Measuring machine, measurement equipment, viewing, metrology, etc.